Everyone’s favourite US Sitcom “FRIENDS” is one of the world’s most popular tv series, even today! 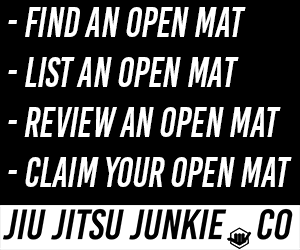 But did you know they actually reference Brazilian Jiu-Jitsu and pay homage to the Gracie family? Well in “The One With The Ultimate Fighting Champion” we see Monica’s current millionaire boyfriend, Pete Becker (played by Jon Favreau), decide to become the Ultimate Fighting Champion. So when Pete decides to fight he tells Monica that he is training Jeet Kun Do and “Brazilian Street Fighting” an early nod to Brazilian Jiu-Jitsu. The episode aired on 3rd May 1997, A week before UFC 13, Pete fights actual UFC fighter David “Tank” Abbott. During his walk out you seem him and his team mimic the famous Gracie train. We even get a cameo from a very young Big John Mccarthy, wearing a UFC 12 “Judgement Day” shirt & Tito Ortiz, who is in “Tank” Abbott’s posse (thanks to Reddit for pointing that out!). Fun Fact – UFC 12 was also the first event Joe Rogan commentated! You can see the two comparisons below! So there we have it. It’s great to see The Gracie Family cropping up in one of the world’s favourite TV shows!